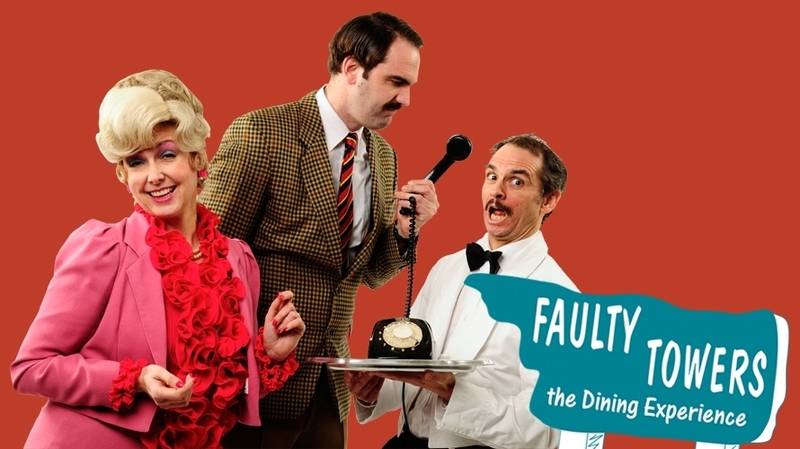 A special evening of fun and laughter, whether you are a fan of the original BBC series or not, you will not stop laughing at this frantic and farcical dinner theatre. Find yourself in the Faulty Towers dining room being served a three course meal by the ill-tempered Basil, his long suffering wife Sybil and the hapless Spanish waiter Manuel. Comedy reigns from the moment you step through the door, as these much-loved characters work to seat and serve you while everything seems to be going wrong. Expect several surprises throughout the evening from Manuel, Sybil and Basil himself, as only a third of the night is scripted meaning anything could happen and no two nights are the same.